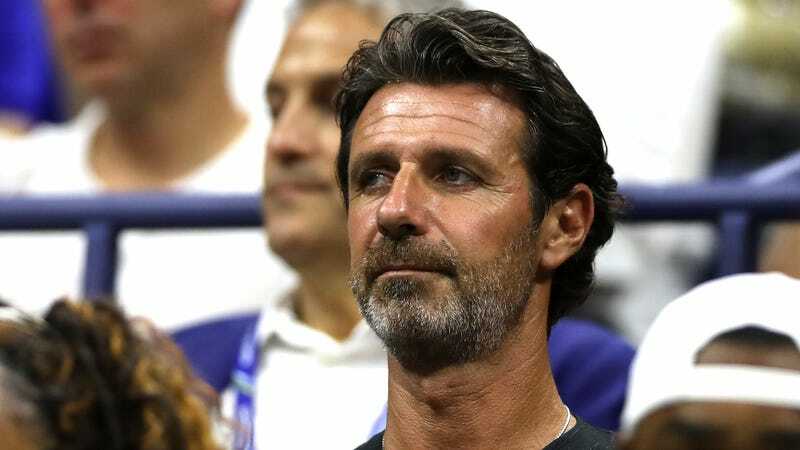 Serena Williams’s long-time coach Patrick Mouratoglou—who, during the U.S. Open final in September, was deemed by the chair umpire to have coached Williams from his seat in the stands, thereby earning her a code violation, which set off one of the weirdest and most controversial sports meltdowns ever—today posted a manifesto arguing that coaching should be allowed in tennis. Mouratoglou said that the tennis governing bodies have been considering changing the rules to allow for on-court coaching for five years and that he’s long supported the change, which he characterized as a progressive, modern approach to the game as opposed to the conservative, traditional thinking of the status quo. He then listed three reasons for why he supports the change (coaching should be valued and recognized, tennis is the only sport where coaching isn’t front and center, and on-court coaching improves the quality of the sport) before getting to the fourth reason, which deals specifically with what happened to Serena Williams at the U.S. Open. It’s a very basic truth that the majority of tennis coaches are actually coaching on court, despite the rules. Look at how many times players look towards their boxes during a match. Some do it after every single point. Of course, coaches are usually discreet in the way they give messages to their players—they do it with signs or with loaded signals—but most of them also communicate verbally. Occasionally the players are punished for it, but for the most part they are not, because the federations are perfectly aware of the situation and don’t ask umpires for a strict application of the rule. For all those reasons, it is time the tennis leaders amend the status of coaching. It is time to authorize and structure—something the WTA has initiated in 2008 when it allowed on-court coaching for all tournaments apart from the Grand Slams—practices that have been tolerated all over the world for decades. This, I believe, would ensure that tennis sustains its development. None of what Mouratoglou wrote is particularly revolutionary, and none of it is wrong, but if tennis were to implement on-court coaching, it could widen the gap between the world’s top players, who can afford the best coaches, and young or lower-ranked players who can’t.